Discussion in 'Released' started by zadum4ivii, Jul 29, 2015. @Batby now maintains the mod, whom is supported by @Jofairden. Check Antiaris - our new mod. 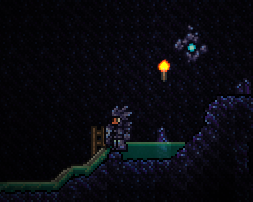 We've landed ourself amongst one of the biggest mods published on tMod for Terraria. We're constantly under development to build on what we've made as well as improve, and we're very aware, and listen to our community carefully. We strive to create a bigger and more diverse Terraria, to revamp the user experience as a whole to excite new players and to give returning ones additional challanges. What can Tremor Mod contains and can offer you? Over 1600 new items - including new armor sets, weapons for each class, accessories, new materials and banners for every mob. 21 new bosses - every boss has it's own AI, loot, treasure bag with unique expert item. 13 new NPCs - each NPC has it's own stuff to sell. Many NPCs also sell new things after certain bosses are defeated. 2 brand new invasions - new invasions with new interesting mobs, loot and also with new soundtracks. New Glacier minibiome - a biome that spawns in Snow biome and has new mobs and loot. New ores - some generate in the beginning of the game and some only generate after defeating certain boss. 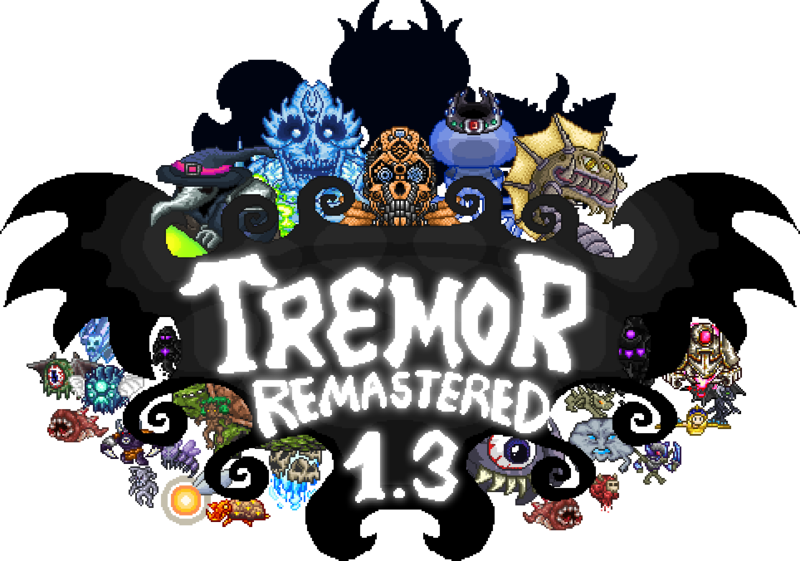 Tremode - Post Moon Lord gamemode with it's own ores, lots of new content, such as armors, weapons, materials, harder monsters and hard bosses. New alchemist class - absolutely new class with new damage type, weapons, armor and accessories. New Nova Celestial Pillar - a completely new pillar for alchemist class that spawns with regular pillars! 11 new soundtracks - amazing tracks for different bosses and events made by Delicious Saturn. Amazing neat sprites made by our wonderful spriters! And also support of Boss Checklist Mod! You can download mod from tModLoader Mod Browser or install it manually by downloading file on the link below! Please report any bugs on the git, by making a new issue. All contributions are incredibly helpful, and mentioned in changelogs. These are known bugs. Those will be fixed in upcoming update. Don't forget to subscribe on this guys to watch new episodes after they are uploaded and to support them! fredbear543, esdead, LolHens and 118 others like this. woohoo! I can't wait until..stuff..happens..you know?..yeah..all that stuff that's gonna happen! WOO!! Vlad Terrarian, EmeraldXLapis and Seeabass like this. High hopes for the download. glitch hologram and superhc like this. I'm legitimately excited to support this mod, and will if given the chance test its limits as well as I may! EmeraldXLapis and superhc like this. Xag, EnderFXO, Coolwhip and 5 others like this. Cool stuff, so basically just more content into Terraria? Oh well I'm not sure if I'd want that. If you want to put that in, you maybe should make seperate versions: one with, and one without. There was a button that could disable the hunger system. Coolwhip, superhc and Jofairden like this. Now we need marble armor. Or toga. 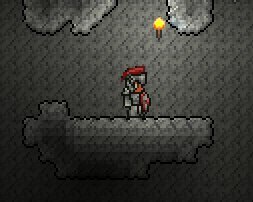 There is already Marble Armor in the mod. superhc and Eared like this. Yay! Also, will Tremor Mod have throwing stuff? In a later update of course. The Gentleman Narwhal likes this. The first big mod to start updating to 1.3! I can't wait! superhc and zadum4ivii like this. GabeHasWon, Eared and superhc like this. Ashen75, superhc and Eared like this.